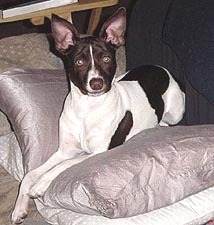 "WhisperWind's Ukan Talk about Me" or Rebound aka Reese, is now a very talented dog. 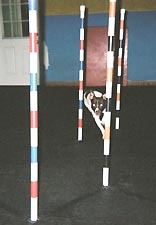 He championed in the Confirmation ring very quickly and is now on his was to an Agility Championship. Jill Peters took him through to his conformation championship and taught him very well. 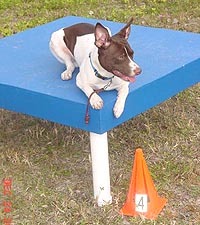 Now Tracy Sklenar is showing him in agility and winning! 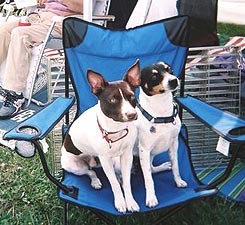 Ukan Kennels and Jill Peters of FL. 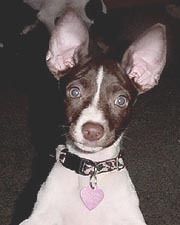 His parents are River and Dixie. Once again, bringing you good news about one of your babies... W'Winds Ukan Talk About Me (Rebound) competed in his first "real" agility trial on Sunday. 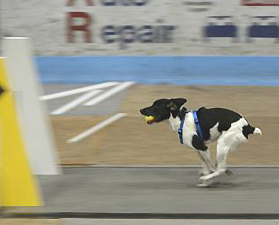 He had done some matches in the past and a Teacup Dog Agility Association trial, but this trial was truly "the big leagues.”It was a large indoor NADAC trial in Westminster, Maryland, hosted by Artful Dodgers. Baby Re was only entered in Tunnelers (a course of only tunnels! ), Jumpers (jumps & tunnels) and Gamblers (a point accumulation game culminating in a distance exercise). Tunnelers was the first run of the day, and Rebound ran clean and fast to complete the course in 26 seconds - he was awarded a 1st place and a "Q" in a rather large 16" class! Next was Jumpers - he ran the course clean and fast in a mere 22 seconds (he would have been even faster except my handling was not the greatest). This run earned him another 1st place and "Q." 12 pole in about 2.4 seconds - a world class time! 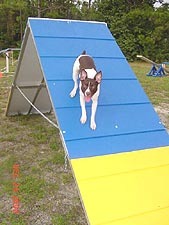 aka Tyson at an agility match. conformation championships by Jill Peters. 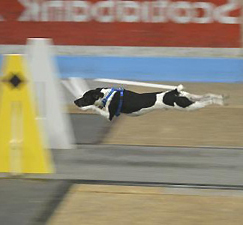 "Luke" doing his flyball, owned by Katie Davis. Amazing huh ??! !